Anchor offers a complete Do Not Call solution for any company that needs to be in compliance with Federal DNC list and DMA DNC list Suppressions. Anchor’s DNC compliance tool is complete and up-to-date. Please Note: Since the launch of the Federal DNC list (Do Not Call) in 2003, many states have discontinued do-not-call programs, merging their information with the Federal List. For these states Anchor’s DNC service will identify these records. 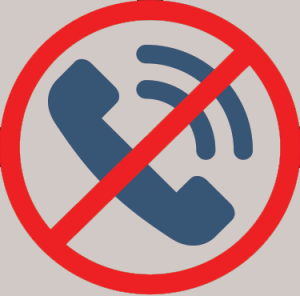 However, for states that continue to maintain separate do-not-call lists, registrants may or may not be shared with the Federal List. If you are calling into these states and you are not exempt, you must comply with their DNC requirements. States may be added to or deleted from the list as a result of changing laws. You must check to confirm if the states or states you are calling has a DNC list. You must be in compliance with all aspects of both Federal and State Do Not Call Laws and Regulations. There are two options available. The first is “Suppression” and would apply to businesses calling for commercial use, which would be required to follow the Do Not Call regulations. In this instance we would suppress any numbers on the Federal & DMA DNC registries from the list you provided. If there is a business relationship with a customer or prospect for a period of time an exemption may apply. For businesses and organizations who are exempt from the DNC regulations there is the Flag option where we would flag numbers on the Federal and DMA registries. The decision to use those numbers would be left to the client. This service requires a signed copy of the SAN (Subscription Authorization Number) form prior to processing. See some of our other phone services.